A team of researchers from the U.S., China and Taiwan has found some rare instances of fathers passing mitochondrial DNA (mtDNA) to their offspring. In their paper published in Proceedings of the National Academy of Sciences, the group describes how they came across one case, and then found it in others. Mitochondria are organelles that reside inside every human cell—their function is to produce energy. 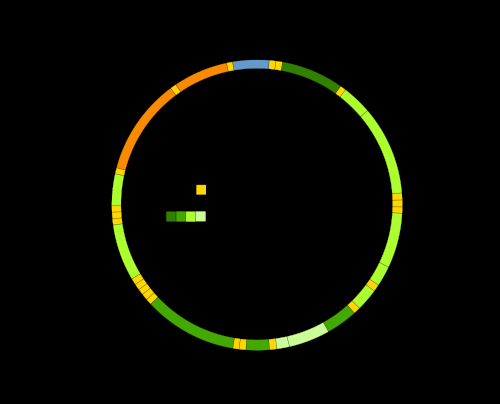 Mitochondria are unique in that they have a type of DNA that is separate from the DNA found in the nucleus—called quite aptly mitochondrial DNA. Prior research has shown that the mtDNA inside sperm cells is destroyed once an egg becomes fertilized. Thus, offspring inherit only maternal mtDNA. Because of the uniqueness of mtDNA, it has been used extensively to study the genetic history of humans and other animals. Most people learn in school that mtDNA is passed down from the mother to her offspring, but there appear to be some rare exceptions. Back in 2002, for example, a team of researchers reported finding a case in which a man had mtDNA from both parents. In this new effort, the researchers have found 17 more cases—all falling within three independent family trees. The researchers report that they became interested in the case of a man who was suffering from what was believed to be mitochondrial mutations. Subsequent testing of his and his parents' mtDNA, revealed that he had inherited mtDNA from both of them. Intrigued, the researchers began focusing on other patients who were also experiencing maladies traced to mitochondrial mutations. In all, the researchers found 17 cases of people with mtDNA from both parents. They report also that their findings were independently validated and that using multiple types of sequencing ensured the validity of their results. The researchers suggest it is likely that some males carry genetic mutations that prevent their mtDNA from being destroyed, thus allowing it to allow remain active in the mitochondria of their offspring, along with the maternal mtDNA. They suggest further that their findings might prove useful in combating some types of mitochondrial ailments.